Your Mac is brand new out of the box? 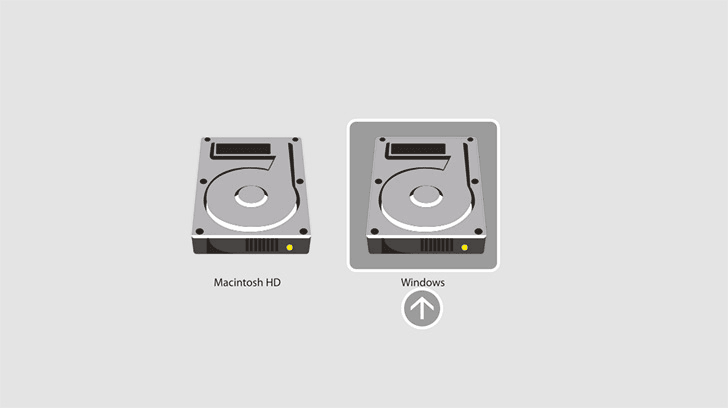 You can import your Windows data easily the first time you boot your Mac. 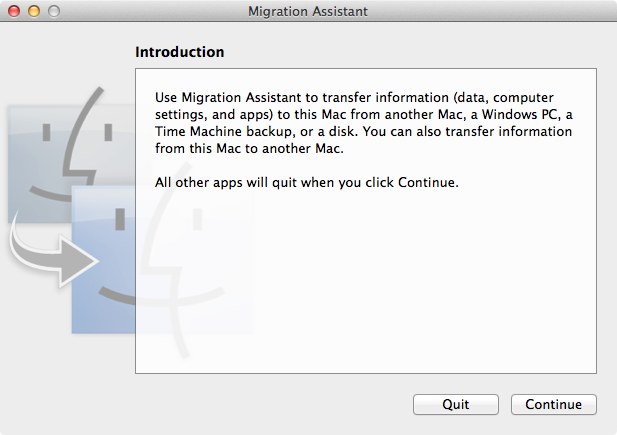 This with the help of the 'Migration-Assitant' program, available for Windows - and default on your Mac. However, for Windows the minimum system requirements are Windows XP Service Pack 3 or higher. Your Mac has been working already? Then you can also use Migraton-assistant. Draait je nieuwe Mac al, dan kun je met het programa Migratie-assistent alsnog de boel overzetten. You can find it using Spotlight or in the Applications / Utilities folder. 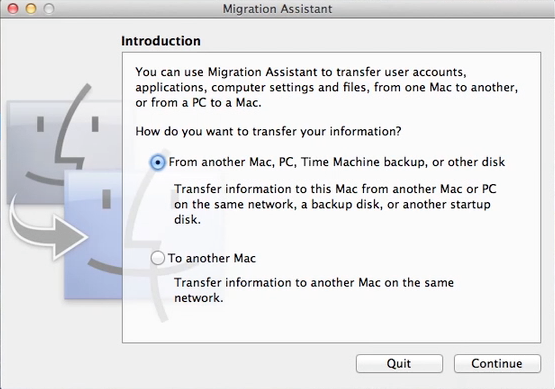 What kind of data can Migration-assistant copy from Windows to Mac? Email from Outlook, Outlook Express and Windows Mail will be copied to Mail in Mac OS X. Contacts will be copied to Address book. Calendars will be imported into iCal. Your iTunes library and all apps and information from iPhones, iPads and iPods will be imported into iTunes on the Mac. Bookmarks from Internet Explorer, Firefox or Safari for Windows will be imported in Safari for Mac. Make sure your pc and your Mac are in the same network. NOTE: An ethernet cable is the best way to accomplish that, but Wi-fi will do also. IMPORTANT: Turn off the automatic Windows update option on your Windows machine. This program might disturb the migration process. Visit the Apple.com website on your Windows machine and download the Windows Migration Assistant (use the websites search engine to find the exact link). Install this Windows Migration Assistant on your pc and start up the program. Now it's time to go to your Mac. Go to the Migration-assistant program (to be found through Spotlight or in the Utilities folder). Select as migration method: 'from another pc'. Depending on the speed of the connection and the amount of data sooner or later your Windows data will be migrated to your Mac. 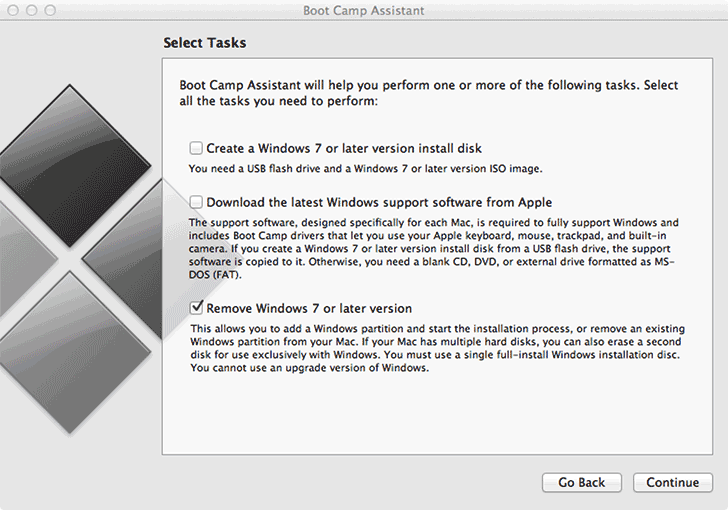 The Boot Camp program allows you to boot your Mac as a Windows machine too. The only thing you have to do is to press the Option (Alt) key when you power on your Mac. Now you can choose what system your Mac will boot in. Start the Boot Camp-assistant and follow the directions on your screen exactly. You can find Boot Camp-assistant in the Utilities folder (or use Spotlight). It will partition your hard disk into a Mac part and a Windows part. It won't touch the data on your Mac hard drive. However, it is wise to make a backup before you start Boot Camp-assistant!! 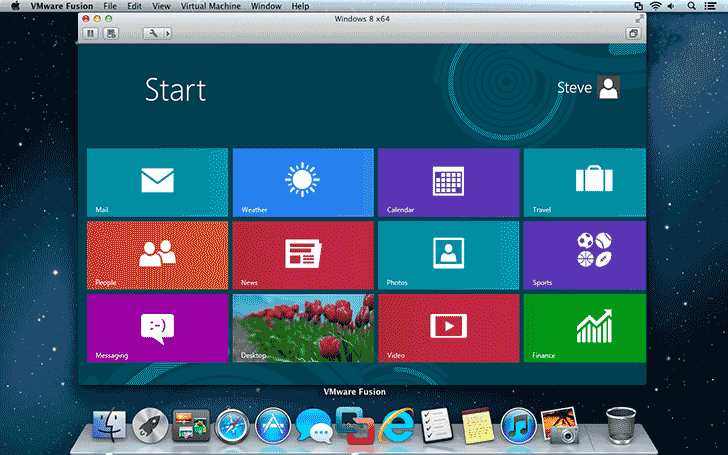 Boot Camp for Mac OS 10.9 Mavericks is suitable for Windows 7 Home Premium - or higher! 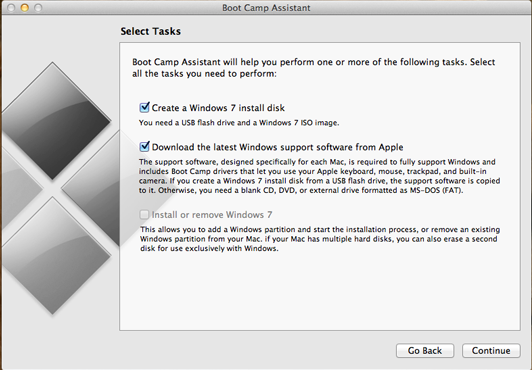 After creating the Boot Camp-partition and the installation of Windows 7 Home Premium - or higher - you'll see an extra disk in the Side Bar called 'Boot Camp'. 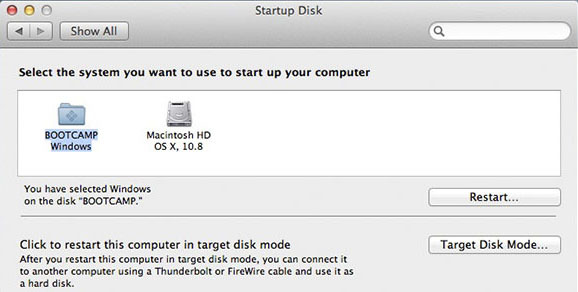 When your Mac has booted in Mac OS X you can go to the System Preferences => Startup Disk and choose the Windows partition. Restart the machine to boot in Windows. In Windows, you can find a little icon in the Task bar that represents the Boot Camp utility. It leads you to the Boot Camp Control Panel. 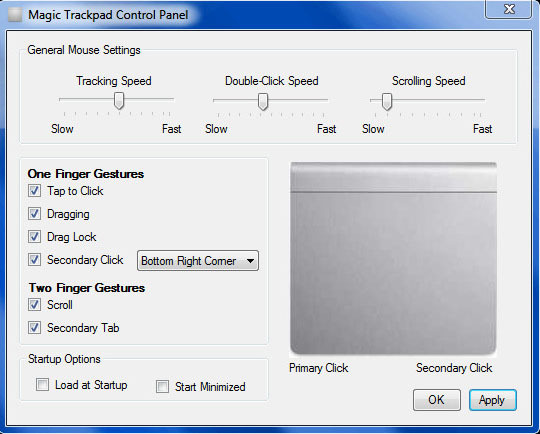 Here you can choose what system the machine boots next time at startup, how your mouse and keyboard have to behave and also the brightness of your screen. 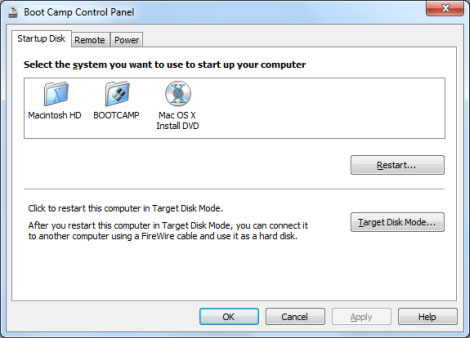 Start Boot Camp assistant, but do not start the Windows install but 'remove Windows partition'. The program will undo the partitioning of your hard disk and remove all Windows software and data. 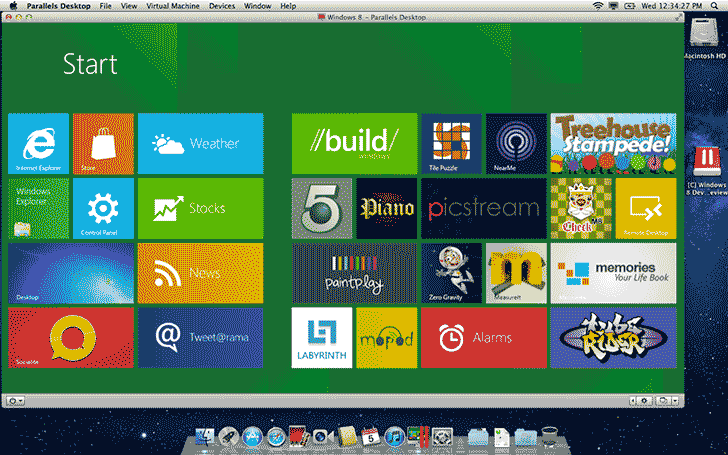 An example of Emulation software: Parallels Desktop. Also available: VM ware fusion. It depends on the usage, but remember that an emulation program can't be as fast as a native Windows system that uses your hardware in a direct way. Gamers should probably prefer Boot Camp. Plus Boot Camp comes for free with your Mac.